FitzGerald Lawyers is proud to have been named to Asian Legal Business' (ALB) 2018 "Innovation List" in the recently released March issue. FitzGerald Lawyers gathered at the Hong Kong High Court in Admiralty on Saturday, 13 January 2018 to congratulate trainee solicitor Shirley Gu on her admission as a solicitor in Hong Kong. The firm is proud to have Shirley continue as a valued member of our team. 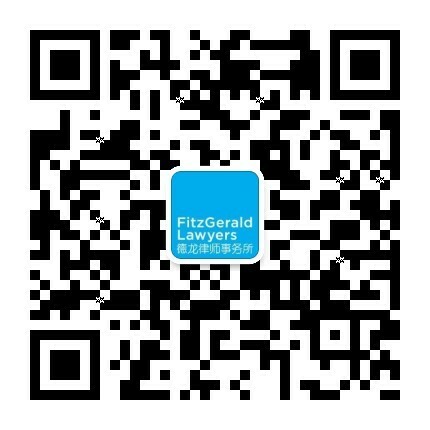 FitzGerald Lawyers managing partner Darren FitzGerald has been recognized by Chambers & Partners in both the Chambers Asia Pacific and the Chambers Global 2018 guides in the category of China, Dispute Resolution: Litigation (International Firms). On November 28, the winners of AsiaLaw's inaugural Asia-Pacific Legal Practice Awards (ALP Awards) were announced at the awards dinner held at the JW Marriott in Hong Kong. FitzGerald Lawyers is proud and delighted to announce that we have received the award for Asia-Pacific Newcomer of the Year. The award recognizes law firms that are five years or younger with a signficant Asia-Pacific regional practice and expertise. FitzGerald managing partner Darren FitzGerald was invited to speak on the future of legaltech and the role law firms will play at the DragonCon legaltech conference held in Hong Kong on November 9. DragonCon – hosted by leading cloud-based legaltech provider Zegal (formerly Dragon Law) – is Asia Pacific’s biggest legaltech conference. Industry leaders, technologists, and forward-thinking legal professionals from all over Asia Pacific gathered to learn about and discuss the latest innovations in legaltech and the future of the legal industry. FitzGerald Lawyers is happy to announce that we have been named a finalist in the upcoming inaugural AsiaLaw Awards to be held in Hong Kong on 28 November 2017 at the JW Marriott. The evening will celebrate top law firms throughout Asia-Pacific’s 24 jurisdictions and across 18 practice areas. Asian Legal Business recently released their August 2017 issue commemorating their inaugural “ALB Best Boutiques” list and we are proud to announce FitzGerald Lawyers was named as a "Best Boutique". FitzGerald Lawyers is proud to announce that we have been named a finalist in four categories for the 16th annual Macallan Asian Legal Business Hong Kong Law Awards. These prestigious awards, winners of which will be revealed during the awards ceremony on 8 September 2017 in Hong Kong, recognize the outstanding performances of legal practitioners throughout Hong Kong and Asia. FitzGerald Lawyers has been selected to join the Hong Kong Science and Technology Park (HKSTP) Panel of legal firms & intellectual property (IP) practitioners (Panel). Asia’s leading dispute resolution lawyers will convene for one night of celebration in Hong Kong on September 28, 2017, to come together and celebrate the legal profession at the 3rd annual AsiaLaw Asia Pacific Dispute Resolution Awards. Representatives from some of the top firms throughout Asia-Pacific will be coming from as far away as Australia and India and all the way through Southeast Asia and will be in attendance for one night of fun and excitement as we celebrate the very best firms throughout Asia Pacific.